Group of 7 Saint Louis France Paperweights. 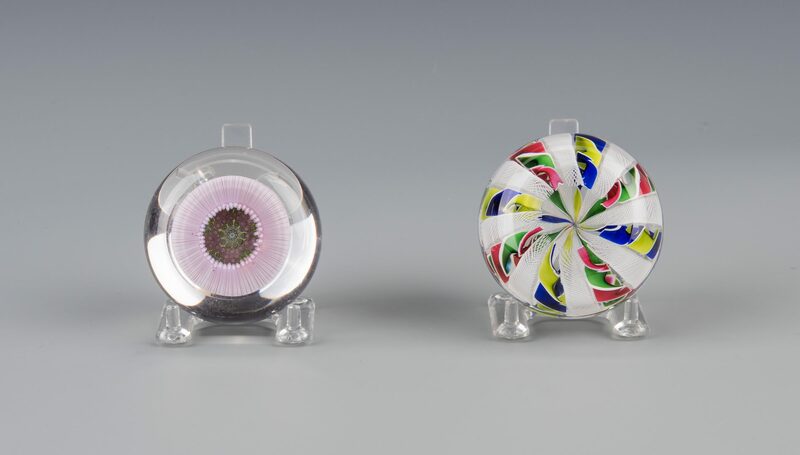 1st & 2nd items: One (1) red and one (1) green over white overlay faceted paperweights with concentric millefiori mushrooms to the center. 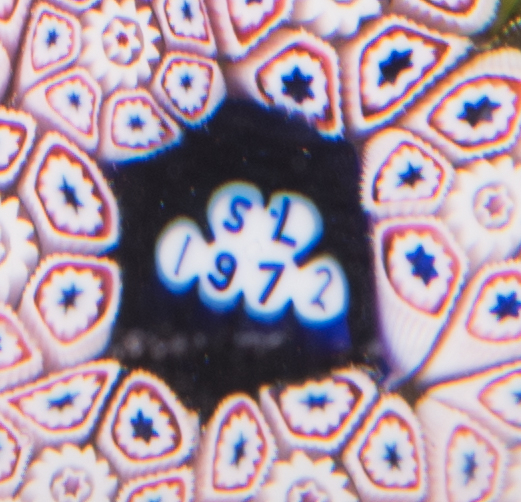 The tops of each mushroom with St. Louis signature cane "SL 1970". One retains the original paper label. 3" dia. 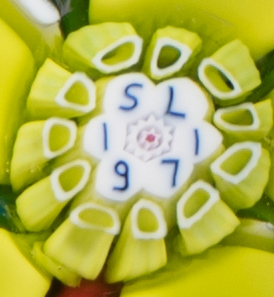 3rd & 4th items: Both with faceted upright bouquet with 6 and 1 facet, center signature canes "SL 1970" and "SL 1971". Multi bouquet on white ground, Dahlia on black ground. 3 1/4" dia. 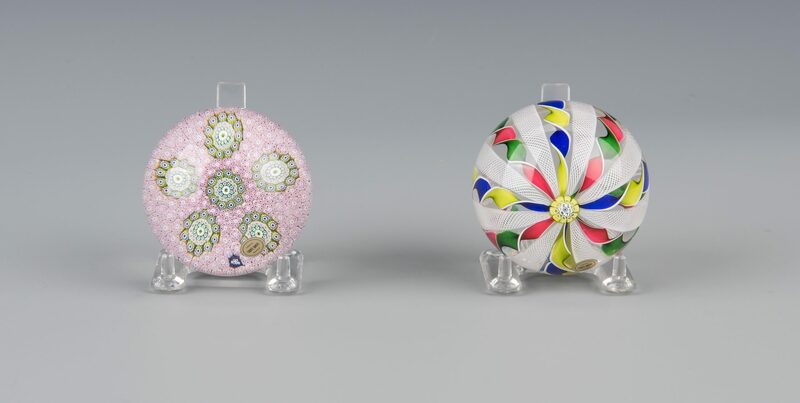 5th item: Paperweight with alternating white latticinio rods and multi colored ribbons. 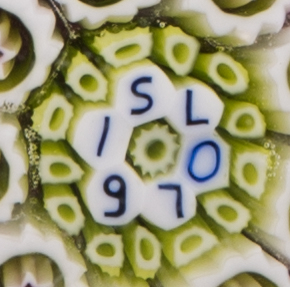 Signature cane "SL 1973", 3" dia. 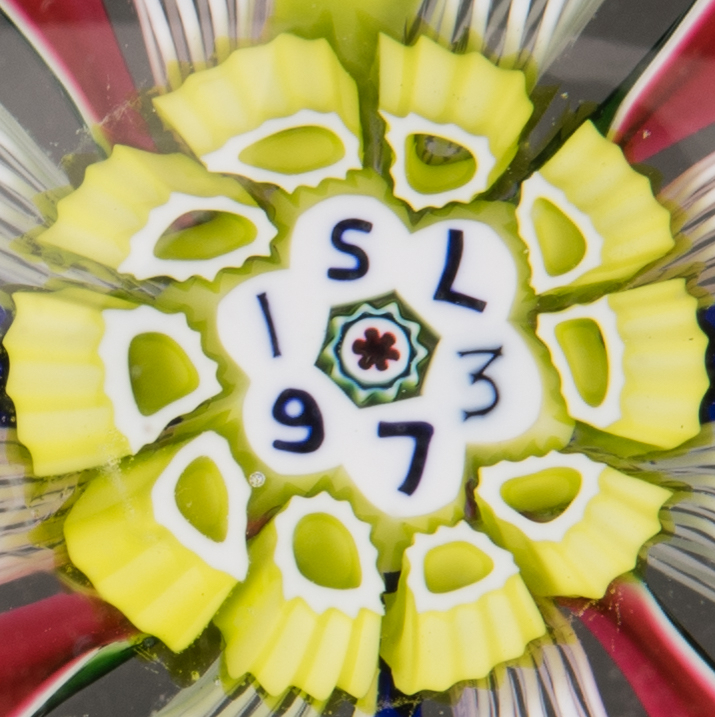 6th item: Faceted double overlay clematis bouquet paperweight with signature cane "SL 1977" and burst design on underside. Original paper label attached. 3 1/4" dia. 7th item: Pink ground paperweight with 6 spaced millefiori clusters. Limited edition of 400. 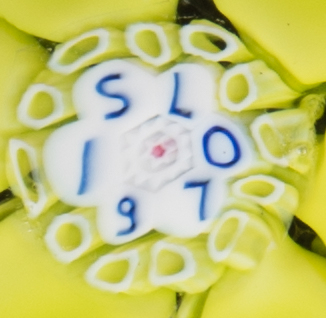 Signature cane "SL 1972". 3" dia. CONDITION: All excellent to very good condition.